I have helped over 589 families buy or refinance their home over the last 13 years. You can trust me for your next mortgage loan. I deliver on what I say and I will give you honest, up-front personal attention you deserve for your home loan.I have several advantages over the big- mega banks in town. First, I can shop your loan thru different mortgage companies across the country to get you the best deal out there, whereas most banks will offer offer you there one and only deal. 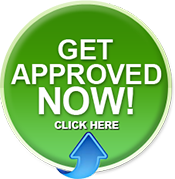 I have access to over 15 different mortgage companies to broker your loan thru. My rates and fees are just as good or better than local banks and you will not get lost in the shuffle like most borrowers do at the mega banks; you’re just not a number at our company, you are a person and we will treat you like one throughout the entire process. Give us a try or let us compare what you have now. Call me locally at 502-905-3708. Free Mortgage Pre-Qualifications same day on most applications.